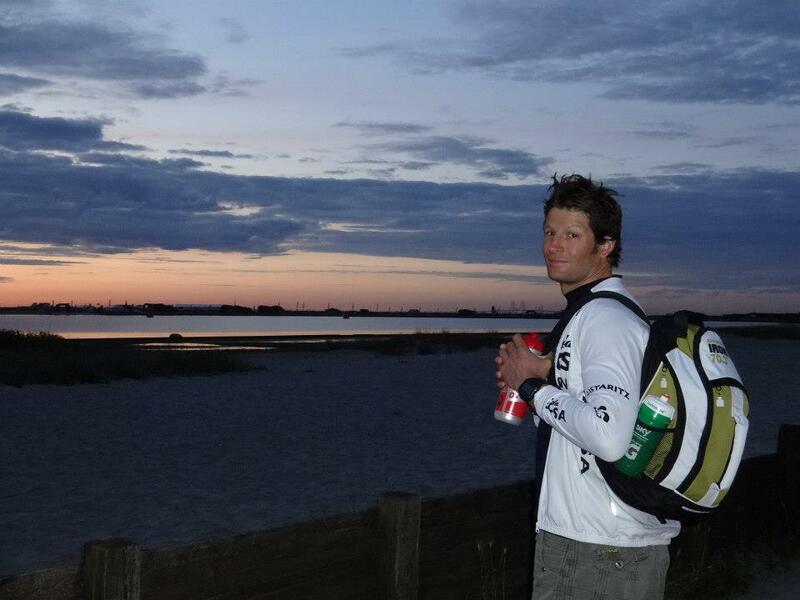 Following on from the Outlaw on the 1st July I had 6 weeks run in to Challenge Copenhagen. Not a lot of time! Factor in 1 weeks recovery after the Outlaw and 1 week taper that left exactly 4 weeks in which I was hoping to get some quality training. History has shown that I always perform better in my second Ironman distance race of the season – In planning out my 2012 race calendar, I took this into account and the plan was to use the Outlaw as a spring board to jump off. The final training block leading into Challenge Copenhagen went as well as I could have hoped. One week after the Outlaw and I was feeling awesome. I was like a horse chomping at the bit. I know I recover quickly but I was careful to wind things up slowly over the next 4 weeks. Building each session on the last, I could feel myself getting stronger and stronger. But more importantly, with each session, I could feel the “BELIEF” inside me growing. For me, that last 4 weeks training was a much about convincing myself I was good enough to make this jump into the pro ranks as it was about anything else. Standing at that start line along side all the other pro’s I honestly believed ‘I could do this’. No doubts, no fears, just focus and a lot of pride. To be even standing along side all these awesome athletes was the best sporting achievement of my life and the gun had not even gone off yet! The swim went pretty well. A few guys shot off the front pretty early on. As it happened I settled into the second group of swimmers at what felt like a very comfortable pace. After about 1000m the pace settled down and I found myself swimming a bit slower than I would have liked. However, by now the gap to the guys in front was just too big to bridge, so it was either swim solo or stick with the pace in the group. I opted to stay with the group. I had made the call not to wear a watch for the swim so I had no idea of my swim split. To be honest I did not even give it a seconds thought. I just got my head down and went through T1 as fast as I possibly could. I was surprised to find that having come into T1 in a group 8-9 strong this quickly spread out. Leaving T1 I could only see 2 other riders. I had either been super quick or super slow?!? The bike was very strange territory for me. Normally, I am solo for the entire bike leg in Ironman distance races. I knew going into the race and starting with the pro’s it was likely that other bikers would be around me. My biggest concern was about staying 10m or more behind the bike in front. I love the bike course out in Copenhagen. It starts out winding through the city before you head north along the coast on a fast stretch of road. By the time we had reached this section of road I had passed 4-5 riders and a speed line had formed behind me. The course then heads inland and onto some smaller roads with a bit of climbing and some more technical sections. As the 1st lap went on things changed around a bit. A few riders took their turn at the front of the speed line and a few riders were dropped. As we hit the second lap the group had whittled down to three riders. This all changed at the 150km mark. We had just hit a short incline. This is where you have to be really careful not to enter the 10m exclusion zone. I was at the back of the speed line and the pace dropped much more than I was expecting. So much so that I had to put the brakes on quite hard to avoid entering the 10m exclusion zone. The rider in front of me did not. He must have only been closer than 10m for just over 30 seconds and the motor cycle came up along side him to give him a yellow card and a 4 minute penalty. I had been riding in and around this guy most of the day and it must have been the first time he had got closer than 10m, from what I had seen. Gutted for him, but rules are rules I guess. As I entered the edge of the city I could see three riders in front of me and by the time I entered T2 I had caught them up. My bike split was 4:41:00 and was the 4th fastest of the day. What really surprised me was what happened next. All three guys in front got directed into the penalty tent to serve a 4 min penalty for drafting and I found my self leaving T2 4th in the race!!! I was running with a bounce in my step and feeling good. Only problem was I desperately needed a loo stop! I really did not want to stop, but when nature calls, it calls. So I found my self in the aid station toilets counting the seconds down. It felt like the longest loo stop I have ever had!! Back on the road and I was running well. Nothing amazing, but a solid 2:55 – 3:00 marathon pace. I was passed by a 2-3 pros over the first 20km but that really did not phase me. I was running well, really well. They were just running better. Simple as that. Around the 23-24 km mark the pace started to drop. This happened to me in the Outlaw and fundamentally the reason why I was unable to win that race. I was expecting this drop in pace to happen in Copenhagen. At that stage of the race I have come to believe that holding pace is as much mental as it is physical. I knew I needed to find something to mentally hold onto that would pull me through that dark patch when it hit, I just did not know what it would be. With 13km to go I could feel the race slipping away from me. What really upset me was the thought of failing to make this step up into the pro ranks after all the sacrifices Carli (my fiancée / wife in two weeks!!) has made in order that I could achieve my dream. 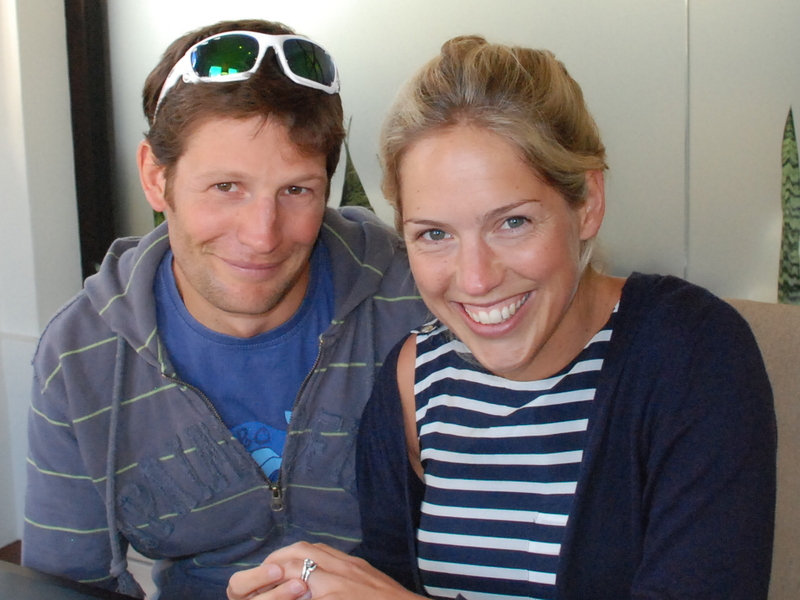 She has gone through so much, from sitting at my bed day and night after the crash in IM Lanzarote, to putting up with my relentless drive to get back into a sport that almost killed me. Putting up with the never ending hours of training AND listening to my drivel about power, heart rate etc….. Coming to watch every race I do. In this instance she was up at 3am to make an early flight on Saturday morning. She then was up with me at 4am on Sunday and flew home at 9pm after the race. The thought of that all being for nothing was just not an option. As all of this was going through my mind, Carli’s face just popped into my head and simply said ‘just run faster’. So with 12km to go, I did just that with Carli ‘pulling’ me along all the way to the finish. 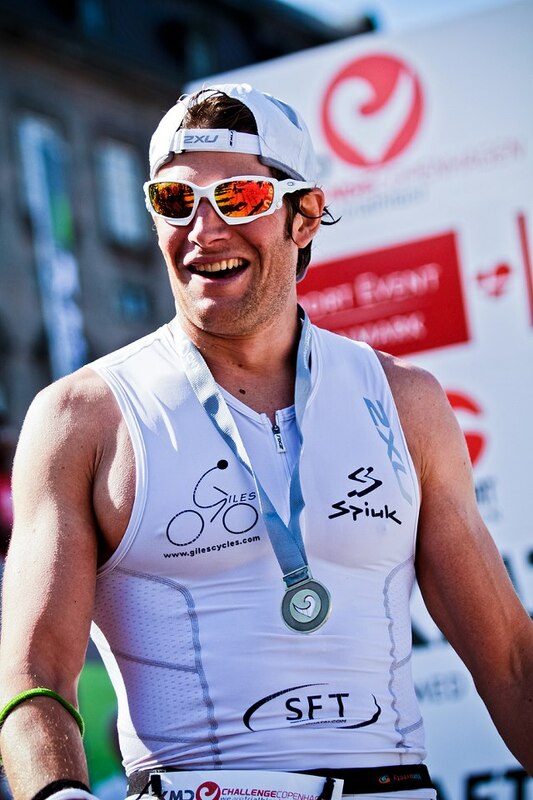 In 2011 I crossed the finish at Challenge Copenhagen in 8hr 59mins 42 seconds. 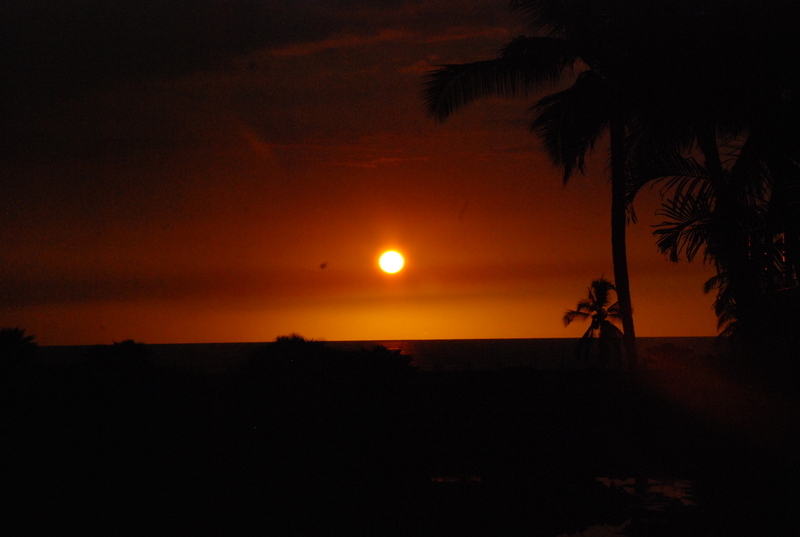 At the time I remember thinking ‘it does not get any better than this’. Well, it just did! I have learnt a lot in the last few weeks. It all started with the national 50 mile TT champs. I went into this race a little fatigued but still hoping to put in a solid performance. The race went OK I guess, having never done a 50 mile TT before I was not entirely sure how to pace it. I have come to realise that you need to be really fired up for time trailing and on this occasion I don’t think I put in enough of an effort. Don’t get me wrong, I was trying hard, just not hard enough. As I headed off on a 1hr run after the race my legs still felt relatively fresh, which should NOT be the case after a 50 mile TT. I clocked a 1:55:08 for the course and came in a slightly disappointing 35th. After chatting to a few guys who finished in the top 20 and a full 7 minutes ahead of me, I discovered that I was putting out a good 20-30 more watts than them (my average was 343Watts). These guys were roughly my size so I must have been loosing those watts somewhere. My bike and wheels are top notch, so the only thing left is me. Guess I am not as aero on the bike as I thought. Three days later I was lined up for a local 25mile TT. This time I was fired up and feeling fresh. I was not going to leave anything out on the course today. I went through the first 20mins averaging 408 Watts. OK possibly a bit to hard! Still I managed to hang on in there and finished with an average of 390 Watts in a time of 53:40. Happy with that! I still need to address the aerodynamics issue to work out where I am loosing those watts but I am racing IM Switzerland in two weeks so I am not prepared to start messing with things so close to such a big race. That will have to wait till after. Following the mid week TT I was entered in the Cotswold 113 on the Sunday. The plan before the race was a little strange. Instead of doing the two lap / 56 mile bike course I planned to do 4 laps / 112 miles and try out Ironman pace and nutrition. The reasoning behind this was quite simple. Before the race I guessed my Ironman pace to be around 300 Watts, but wanted to try this out before Switzerland with the exact nutrition plan I intend to use for the Ironman in two weeks time. If I blow my doors, no worries and I will know not to go that hard in two weeks. The swim was interesting. A group on the right hand side started a good 20m ahead of the rest of the field and hit the lead. To my surprise I caught this group with relative ease and as in the previous race sat in nicely behind the lead swimmer until the start of the second lap. At this point the lead swimmer started on a short cut instead of following the marked route. I let he go and headed on the correct course. I ended up swimming solo for the second lap but happy to come out of the water in 27mins, fresh and in second place behind the swimmer who had taken a ‘short cut’. Out on the bike my garmin was not working. In days gone by this would have really pissed me off, but not today. I have established a pretty good feel for power on the bike and just got in the grove and rode on feel alone. I hit the end of the first lap after 1hr 05mins and took the lead. Based on this pace I was on for a 4hr 20min bike split! Not expecting to hold this pace I cracked on. End of second lap was bang on 2hr 10mins, still on track for 4hr 20min!!! Oh, I was leading by a good 5mins but happy to leave that for another day, I headed out for the third lap. To my surprise the garmin started working at this point and I could see that I was riding in and around the low 300’s 🙂 I ignored the watch and just carried on riding on feel. End of the third lap and my lap time had slowed very slightly to 1hr 07mins. At this point I checked the garmin and my average power was 307! Not bad at all. On the final lap I managed to hit a 1hr 05mins lap time. Average power was up to 311 and I was feeling great. Legs felt fresh and I was pretty confident my legs would be good for the run. My final bike split was 4hr 22mins!! But the real test would be when I hit the run. I could not believe that after a bike split like that, I would be able to run well. For the second time today I surpassed my expectations. Something that does not happen a lot (I always set the bar very high). I was running at 4:20-30mins/km and it felt like I was holding back. Exactly how you want to be on the start on an Ironman. I did one lap and called it a day. I knew I had got the pacing bang on and did not want to over cook it out on the run course. I was totally blown away by how today went. I don’t want to think about things to much. I know better than anyone that racing an Ironman is a long day and anything can happen! BUT…Ironman Switzerland is in two weeks. Watch this space……. Things have been going well in training over the last few weeks and after the disappointment of my ‘detour’ in the last race I was looking forward to the next two races: Tri Grans Prix UK(1.9km-90km-21km) and Boskman (2.6km-120km-22km). 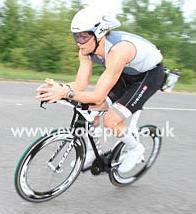 In the week building up to the Tri Gran Prix I decided to do a local 10 mile TT on the Tuesday night. Despite not intending to push hard I ended up holding 398W over the 10 mile course. Doohooo! The following day I did a very high tempo run on the tarmac and then a hard swim on the Thursday night. These three consecutive days of high end training left me feeling fatigued. Nothing to major but just knocked out my top end and I was a little worried going into the Tri Gran Prix middle. would normally expect. I finished 7th overall. Not a bad performance all things considered and I was just pleased that I pushed on through despite being very far from on form. put in any effort. Happy days! On the bike things were back to normal. I felt relaxed and power was back in my legs. I absolutely loved every second out on the bike. A truly stunning course which had a bit of everything. I took the lead almost straight away and never looked back. Averaging 320W for the 3hrs 18mins I was on the bike I entered T2 still feeling as fresh as I had at the start. Something that I would not have expected. Makes me wounder what my Ironman pacing strategy should be??? The run was just mostly off road, very hilly, with some absolutely stunning views to go with it. I love these kind of courses. I spend nearly all my time running on hilly trails and hate running on the concrete with a passion. I started the run at what I guessed to be Ironman pace / effort and just wanted to see how that felt. Second place was a good 12-13minutes behind me and to be honest it felt more like a training run than a race out there. Coming back toward this finish I felt fresh and confident that I would be able to hold this pace / effort for the full marathon distance. I crossed the line for my first triathlon win of the season. Third time lucky 🙂 To my surprise, second place was a massive 14 minutes behind me! Having come down to the race on my own it was really nice to be greeted by so many friendly faces. This race had a brilliant vibe to it. Relaxed and friendly with some truly legendary views out on the course. I can not believe I have not done a race down here before, but rest assured I will be coming back again. Thanks to the organisers, Joanne, Richard and Paul for a great day. After my last blog post about racing to train, this last race could have not been more in fitting with this concept. The swim went pretty well. One guy shot out in front early doors and I missed the chance to get on his feet as I got smacked in the face and lost my goggles. As a result I lead the second group around the course coming out of the water second in 26mins 30 seconds and feeling relatively fresh. Happy with that I hit the bike hard as planned. 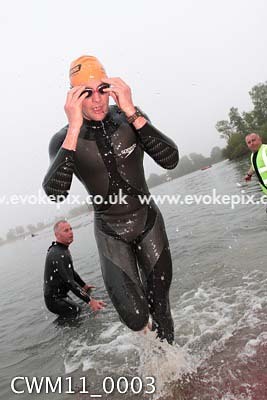 I think the lead swimmer had about 1-2 mins lead on me, but I caught him after 10mins and shot off the front. I felt strong and was plowing along at around 30mph. Things were looking good, very good. I was holding mid to high 300 watts and the pace felt comfortable. Happy days. Then it all went very wrong. After about 45mins I missed a right hand turn. Not really sure how I managed that. A mixture of excitement and lack of a marshal to direct me did not prove to be a great combination. Instead of calling it a day I decided I would just turn around and head back out on the bike course. I was so so pissed off at this point I think I needed to let off a bit of steam anyway. 2 hours later I came into T2 after having clocked 125km instead of the 90km I was supposed to have done. Doohooo! My bike split, excluding the 10 minutes stop back at the start trying to work out where I had gone wrong, was 2hrs 56mins. The original plan was to take it easy on the run at around 4min/km pace. I stuck to this pace for the first 30mins and my legs felt surprisingly good. Out on the bike I had got really quite dehydrated as I had been out on the course for an hour longer than planned. I had tried to take back on the fluids in the early part of the run. This turned out to have not been such a great idea as I got the mother of all stitches. The race plan for the day had always been to hit the bike hard and take it easy on the run, using this race more like a training day than anything else. I felt pretty happy with the bike, even if it did include a 35km detour, and especially pleased to find my legs were still fresh when I hit the run. So with all this in mind I decided to pull back and slowly jog the rest of the course saving my legs as much as possible. Any possibility of a top position had gone out of the window a long time ago and at this stage I just soaked up the view and started to chat to all the other runners out on the course. I love the way people encourage each other on at the back of the race. There is a real sense of being in this race together and that is something you really miss out on at the front. As I crossed the line I was having a great chat to this guy doing his first half as he was met by his wife and child. What an awesome end to his first half distance race! Yes, I was gutted to have missed out on a potential win, however I was happy to have had a good days training and enjoyed the day out on the course with everyone else. Like I have said before, there is always next time. Train to race? Or race to train? 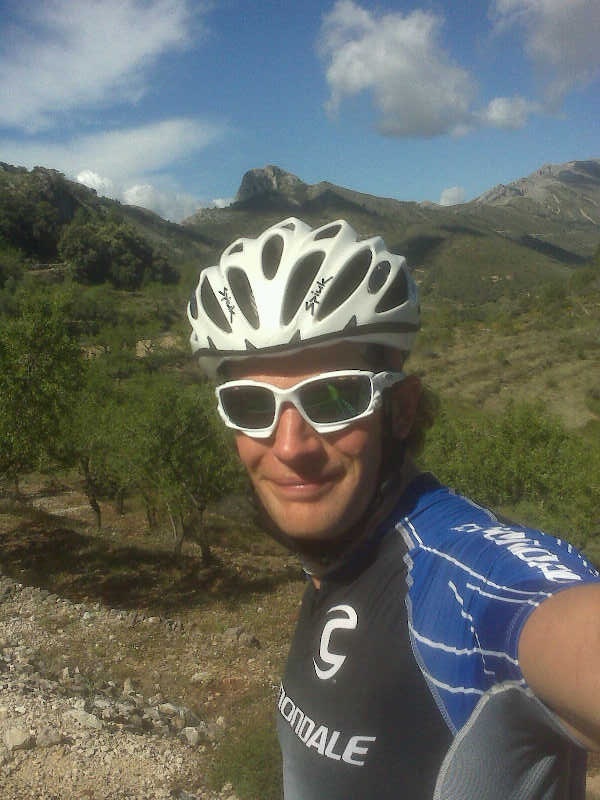 I am lucky enough to be out in Spain at the moment trainging in the sun. It is truely awesome out here. Heading inland from the coast the biking is unbelievable. The roads are in near perfect condition, without a car on them. The scenery is breath taking and something about being up in the mountains on your own with nothing but the view for company is a very special, almost emotional experience. I try and remember every moment up there, but I simply don’t have enough space in my tiny brain! While I was on one of my long rides on the mountains I started to think about why I really do all this training. The honest answer is because I absolutely LOVE IT. In the last three days I have clocked 17 hours training. The ironic thing is because I want to race to the best of my ability this year, I held back, trying to be sensible. If I had not been getting ready for a number of races later on this summer, I think I would have probably spent more time out on the road. However, because I want to race to the best of my ability this year, I was turning around and heading for home on rides where I just wanted to keep on going and explore new areas of the vast mountain range in front of me. This is something I found very hard to do, but it kept me fresh and keen to head out every day and explore some more. It is strange to think that because I want to reach my potential in Ironman racing, I actually train less, and don’t push myself as hard as I would do if I wasn’t racing. Go figure?! I guess my point is this. All the crazy hours I spend training, I do because it makes me feel alive and not because I want to win races. Sure, once I am at the start my competitve nature kicks in and I give it everything both my body and mind has to offer. But that is the same for every body on that start line. With the first triathlon in an action packed race season coming up in a few weeks, I guess by writing this, it is my way of reminding myself that in all honesty, race results don’t really matter that much. At the end of the day, for me, it is just about seeing how far I can push my limits and the pump of adrenaline you get at the start of the race is the perfect fuel for this. If I had to say which I would enjoy more, an epic 8 hour ride through the Spainish mountains, a run up and down the mountains in Zermatt or a top result in a race, I think I would be hard pushed to make the call. To be honest I think the ride or run through the mountains would probably win. Having said that, I don’t really consider myself to have had a top race result yet. Fingers crossed, I might be able to make the comparision later on this year.